Symbolic to all the success that we have acquired in the industry, remains our status as prominent manufacturer, exporter and supplier of a precision-designed range of Straight Ring Striking Wrenches. RING END, Selected Carbon Steel/CV Steel, Chrome Plated or Black Finish. Banking on the skills of our qualified team of professionals, we are involved in providing high quality range of Slogging Wrench. 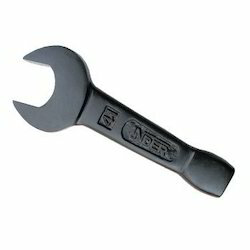 We are a known name in exporting of Ring End Slogging Wrench. 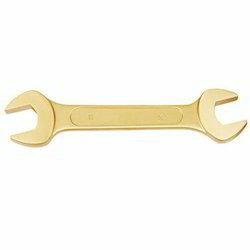 We are one of the leading In house manufactures and exporters of Slugging Wrench Open End.